As demonstrated in my live stream earlier this year, I'm an absolute beginner when it comes to Multiplayer Online Battle Arenas (MOBAs). While I've improved a bit in the past nine months trying my hand at several popular titles, I concede that I'm still a liability to my team. With this in mind, my commentary below can’t be called ‘expert analysis’ but after spending about 30 hours with the Heroes of the Storm technical alpha, I'm ready to elaborate my feelings on Blizzard's foray into the genre. Obviously, my impressions are based on an unfinished product so pretty much everything is subject to change before the game is officially released. While Blizzard deigns to call Heroes of the Storm a technical alpha, by almost every practical interpretation it’s a late beta. Almost all of the features are in place, bugs are scarce, and the cash-shop is open for business. Blizzard has even gone as far to pledge no further progress wipes so players with access are effectively getting a jump on everyone else. 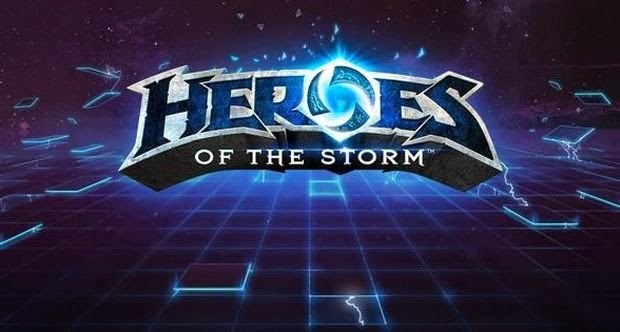 Whatever you want to call it, the fact is that if Blizzard didn’t have such high quality standards (and wasn’t held to them by the public) Heroes of the Storm could be released to the wild today with few complaints. I’m confident that the game I’ve had a chance to play, barring a few missing characters and maps, is a good impression of the final product. At first glance, Heroes of the Storm strikes as offering little to differentiate itself in the saturated MOBA market. Teams of five players select from a stable of characters divided into their archetypal roles of tank, healer, and assassin as they push down lanes in an effort to topple the opposing team’s core. All the basics are here. That said, I think that Blizzard has targeted the elitist player toxicity MOBAs are infamous for and has taken to task to produce a game that is as accessible as possible. This is no more apparent than the implementation of shared experience pools which eliminates last hitting and ensures that every member of the team is equally progressed. The HUD prominently displays the overall level of each team and provides a rough indicator of which side is winning. The off-shoot of shared experience is that there is less of a need for the typical 'carry' role where one player operates as a lone wolf until they are powerful enough to single-handedly push their team to victory. The other major area of streamlining is the removal of the standard item shop. Instead of buying items that bestow bonuses like life steal or mana regeneration, every few levels players pick from a set of talents to complement automatic enhancements to damage and health. New players won’t be overwhelmed by a complex progression tree and can instead focus on the fundamentals. The drive for accessibility goes hand in hand with faster matches. 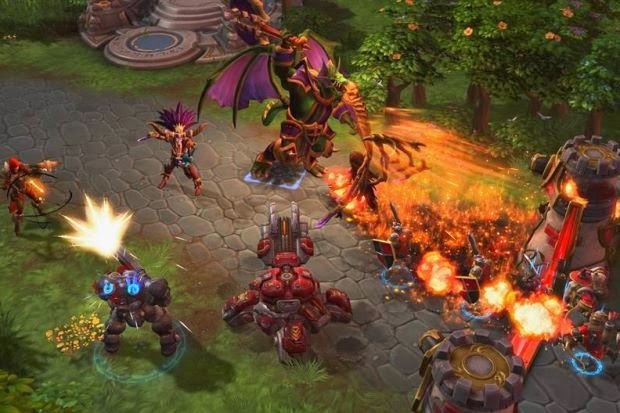 Genre veterans have commented that Heroes of the Storm feels like it starts at the mid-game and the typical match lasts around 30 minutes (about half the time of a typical League of Legends game). Action is at the forefront with smaller maps forcing things to an early head. These maps often eschew the standard three lane structure and each offers a team-based objective that can strongly influence the tide of battle. Objectives provide an alternative path to straight pushing and help to prevent games from grinding to a stalemate. On top of this, each character begins with all of their abilities unlocked and has access to a mount which allows them to quickly come to the aid of their team mates on the distant corners of the map. All this together means that team fights, arguably the best part of MOBAs, are common from the onset of a match and occur regularly throughout. I’m sure that MOBA purists will consider Heroes of the Storm’s action heavy and noob friendly approach an abomination to the genre. Part of what currently defines the best players in League of Legends is their complex build strategies and how they succeed in controlling the early part of the game when their character is most vulnerable. To my distaste, I find this leads to a mentality that favours the individual over the team. Don’t get me wrong, a bad player can still bring a team down in Heroes of the Storm but provided they are listening to map pings and attempting to play as part of a team they won’t automatically spell doom. This might be true in other MOBAs but is made explicit through the basic tactical choice that Blizzard has created in whether to push for the enemy core or pursue a map objective. It may seem like a small difference on paper but successful coordination of map objectives can propel a team of mediocre players to victory against unorganized pros who feel they can do everything on their own. In fact, I've personally witnessed matches that seemed well in hand become nail-biters as the supposedly losing team makes a well-timed core push while the other was off securing a map objective. The Dragon Knight can devastate buildings. Blizzard has implemented a standard pricing model that relies on a weekly rotation of free heroes with the option to permanently purchase any hero through a cash-shop. Rounding out the shop is a slew of skins and cosmetic upgrades but I'm not so sure that Blizzard is considering this model as their only potential source of revenue. Admittedly, this is the point where I venture into conjecture and speculation. I think it's fair to say that Blizzard must be at least considering Heroes of the Storm as an e-sport which is fast becoming a lucrative business. The refinements I've highlighted all translate well for the spectator. The shared experience levels function as a de facto score board, item purchases can't be conveyed without an overlay so have been removed, faster matches with more action is a no-brainer, and the emphasize on team strategy creates more opportunities for comeback wins (in other words more exciting matches). MOBAs are already pretty fun to watch but Heroes of the Storm takes a good thing and makes it better. Blizzard has the clout and talent to potentially propel e-sports into Western mainstream culture and Heroes of the Storm is an easy sell to the potential spectator. Considering that MOBAs took their root as a popular map for Warcraft 3, it’s amazing to think that Blizzard is only now officially entering the market. 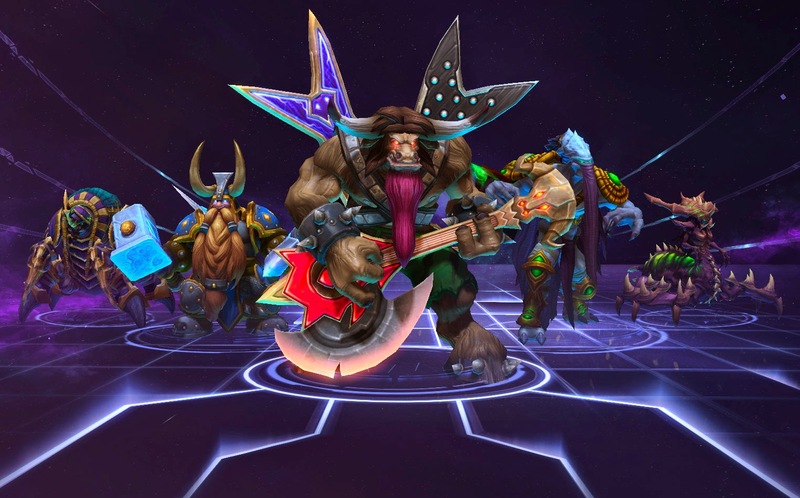 Heroes of the Storm doesn’t look to be reinventing the genre but is certainly refining it. Greater accessibility, faster pacing, and an emphasize on team play are just some of the ways the technical alpha has piqued my interest. Marrying compelling gameplay with the collective lore of Blizzard’s titles will be enough to attract players who have been hesitant to test the genre. Less certain is whether Blizzard will be able to siphon a competitive player base from already established MOBAs and create a bonafide e-sport. If they can, I'll tune in!